Every year at my school we have an annual camping trip to Leo Carillo, which, in case you didn’t know, is just north of Malibu. The kids who are in grade K-1 just go for the day. 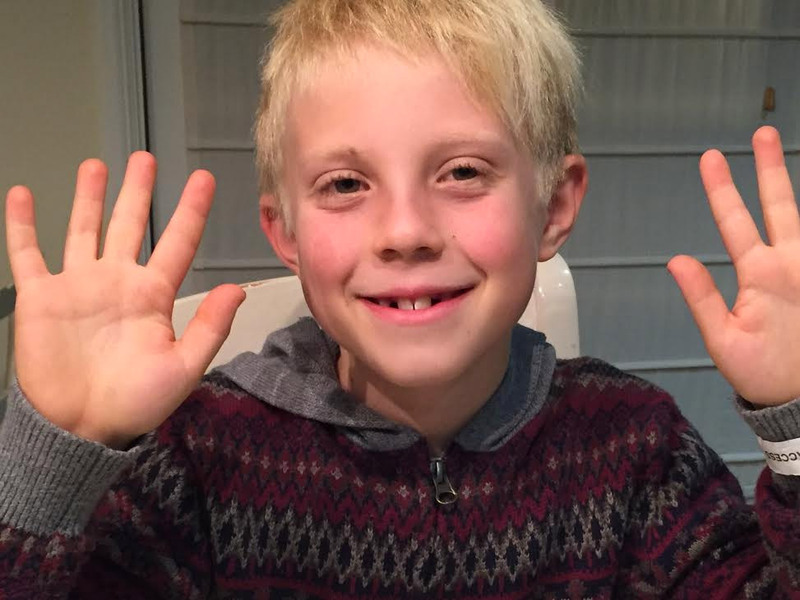 The kids in grades 2-3 go for one or two nights, depending on which class you are in. Grades 3-4 go for two nights, and grades 5-6 go for two nights. 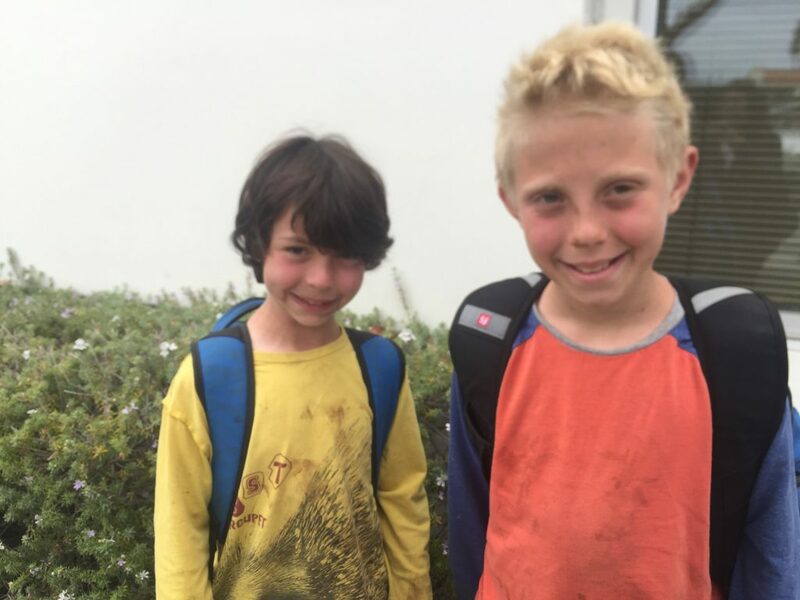 Actually, just the fifth graders go for two nights, and the 6th graders, (who are the grads) have their own separate camping trip for a whole week. I am in 5th grade so I go for two nights. We all come back really tired and dirty. This blog post is going to be based on which foods you should bring on a school camping trip, and why you should definitely pack extra! On my camping trip we travel on a bus to get to the campsite. This year I got a two person tent with my friend Ian. It was so cool because we had so much room! We could roll over and we would still be so far from each other. Usually you are all squished up. We then set up the tent and got our sleeping bags out of the haul. Now, here’s why you bring extra food. Everyone is so tired from the days events that they push and shove until they get what they want-seconds and thirds! One of my friends ate six tacos! I ate four myself. So here are some of the foods you want to bring camping. Definitely makings for the smores. Also, you want to bring lots of food people like and are popular like chips and salsa and fruit. In the mornings, when everyone went on the morning walk the people who stayed got first dibs on hot chocolate so if you have hot chocolate you should definitely bring your own to get the maximum amount. Not everything was about food though. I liked playing baseball and Egyptian rat slap (which is a card game), and I went to the creek on the first day and went all the way to the end. I was so proud of myself because I am really not that good at climbing up and down things. Anyway if you are going on a camping trip with your school, or sending a kid on a camping trip or just camping with your family, make sure to try out my suggestions! 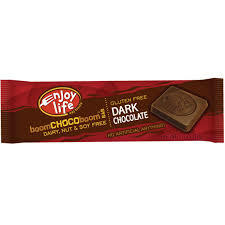 So to help you out here are some of the brands that I had on my trip and you might want to try. They are all gluten free! 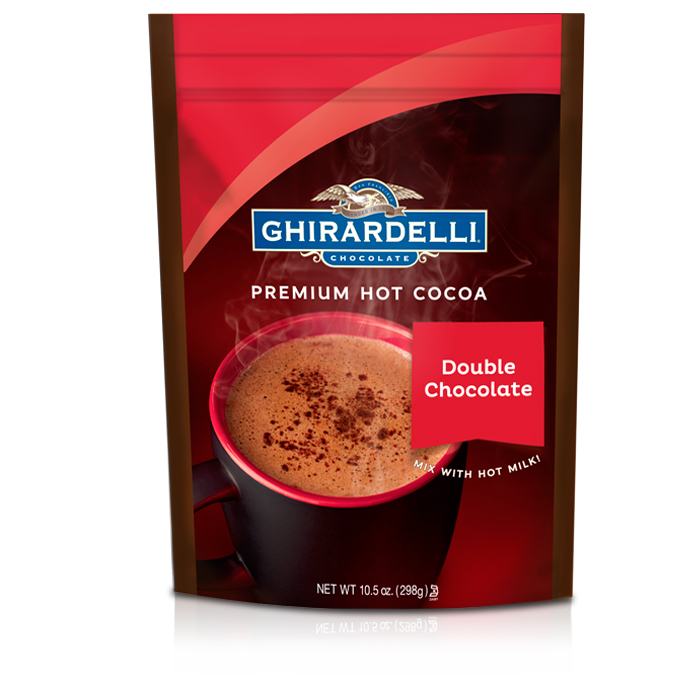 The hot chocolate I used was Ghiradelli hot chocolate and I just added a non dairy milk to it. 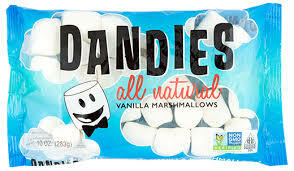 For the s’mores the marshmallows are vegan and are called Dandies brand and the chocolate bar I use was from enjoy life. 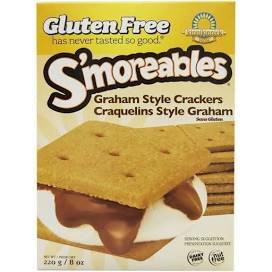 The graham crackers are the only gluten free brand we’ve ever found and that is from Kinnikinnick. Some other ideas are GF veggie dogs and mi rancho corn tortillas with beans and guacamole for the tacos. Oh wait! Before I end the blog post, I have to give you guys a magic trick. Actually, its not really a magic trick, just a cool thing to do. I’ve been looking for people to try it out on, and what better way to do it than this! Enjoy! I bet you 134256789565499674 that you didn’t read that number, you just skipped over it. You didn’t even notice I put a letter in it. No, I actually didn’t, but you went back and looked. Comment on whether I got you or not. It worked with my mom! Ha! Can always count on you, Max. Get it? COUNT on you! Of course you “got me” – I did skip right over the number line. But I did not go back and look for the letter. Then again, I know you well! After skipping them at first, I read that string of numbers 3X before continuing to read — that was a “1” and not an “I”, right?? Anywho, you’ve got a great sense of humor and the inside track on how to avoid starving while camping! BTW — Ghiradelli 100% cocoa is my fav for making chocolate sauce — just mix with water and sugar (Tevia for me! ).